Happy end of the work week, everyone! We have a moment of history here at SuperPhillip Central. It is the site's first "F" review. 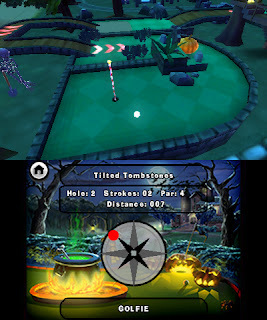 Join SPC for this historic moment with this review of Mini Golf Resort for the Nintendo 3DS. Stick to the real thing. When I was a kid, and even through my teenage years, my dad and I would play mini golf on occasion together. I have fond memories of going to various courses around the Greater St. Louis Metropolitan area and playing a round with him. As the years have gone by, more and more mini golf places closed down and the desire to play together was lessened as I became an adult. Now, I still try to get my mini golf fun through video games. Many mini golf games have come and gone, and many have disappointed with only one really appealing to me, which was an iOS and Android game. As open-minded as I was to Teyon's Mini Golf Resort, what I ended up with was a massive disappointment of a mini golf game that fails in nearly every category. Starting off, you're tasked with creating a character from a limited number of options. Regardless of the options you choose, you're going to get a messy mishmash of undesirable polygons. The fact that you only see your character at the start of each hole makes the process seem completely meaningless anyway, as all you get when you putt is a handless putter that floats over the hole as if it were a ghost. AAA game developers have a recent habit of holding the player's hand, telling them everything they need to know about the game's controls, even as simple as just moving around. That's an annoying issue to be found in a game, but the complete opposite is also quite vexing. Mini Golf Resort thrusts you into a screen with a globe with nothing else to guide you along the way. There is no means to know that the globe is actually the course screen. There is no tutorial to tell you how to actually play the game. And even when you eventually figure all of this out for yourself, what you're left is a pitiful excuse for a mini golf game. Let's talk controls. You're given a power meter that you can fill to determine how strong your shot will be. Unfortunately, there is no grid to show how far the ball will actually go or where it's going to roll, so you're always forced to guess. You can't even see further down the hole than where your putter is currently positioned, because why make the game intuitive at all? That's just crazy talk! Then, there are the physics of the game that can be best described as faulty. Many times the ball will bounce off walls in a way that makes no sense, will roll with the heft of a bowling ball instead of a golf ball, and little objects and obstacles in the various holes will cause unexpected results most of the time. Holes where you have to hit the ball up a ramp to fly over an out-of-bounds area and land on the other side make for some of the most frustrating moments of the game. You'll not only have to hope you'll hit the ball to be centered in front of the ramp, but you'll have to hit the ball hard enough to fly over the OOB area but soft enough to not fly off the course the other way. Again, since everything is all about guessing and hoping for the best, this is just luck whether you do well or not. Mini Golf Resort is also a horrid looking game. Between the early 2000s era use of gratuitous bloom to the pitiful environments, the game isn't much of a looker. Then, you have the ball sliding across the holes when hit instead of the ball actually rolling, as well as the ball falling through the course when it goes out-of-bounds. What little sound there is consists of super generic and grating music. Even here, Mini Golf Resort fails to excite. What we have with Mini Golf Resort is a game that has no right to be ported to multiple systems after its initial Nintendo Wii release. It was never good, it was never fun, and it was never worth the asking price. 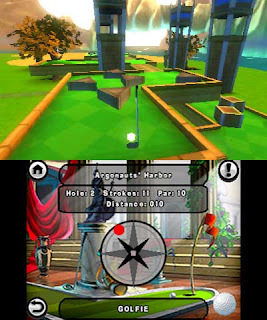 Having the game on Nintendo 3DS with no improvements whatsoever and just a totally poorly conceived shot and physics system makes for a mini golf game that was a form of self-punishment to play. I'll stick with my memories of mini golf with my dad, thank you very much. Review copy provided by Teyon. In just a week's time, the Wii U game Yoshi's Woolly World hits the Nintendo 3DS in the form of Poochy & Yoshi's Woolly World! 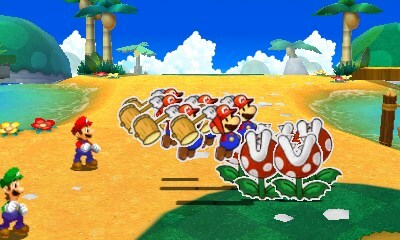 Though the visuals have taken an obvious hit, the game still looks rather nice running on the 3DS hardware. The new additions like custom patterns to Yoshi and the ability to summon Poochy in any level make for some nice bonuses to an already fantastic game. Poochy & Yoshi's Woolly World releases next Friday, February 3rd. With word of Mario Kart 8 speeding onto the Nintendo Switch, SuperPhillip Central decided to take a look back at a different type of kart racer to get us into the racing mood. While it's nowhere near the caliber or originality of the Mario Kart series, Pac-Man World Rally was able to give me some modest pleasure through its responsive controls and cheerful racing fun. Here's the SPC review. 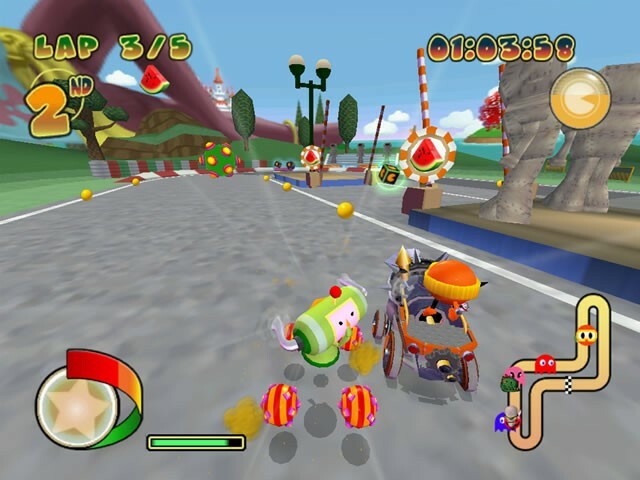 It's pretty much a guarantee that if you are a major video game mascot that you're bound to be a part of a racing game of some type, usually modeled after Mario Kart, the king of arcade kart racers. That was the case with Crash Bandicoot, it was the case with Sonic the Hedgehog, and in the mid-2000s it was the case with Namco Bandai's Pac-Man. 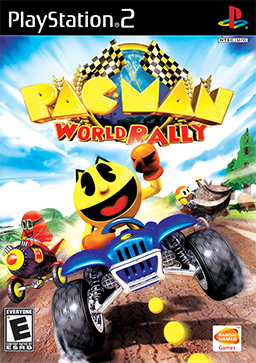 Pac-Man World Rally may not be the freshest kart racer around, nor the most challenging, but it does offer a good deal of enjoyment for players, especially for younger ones and those young at heart. Pac-Man and company speed through the first track of the game, Cloud Garden. The feel of each kart in Pac-Man World Rally is rather pleasant. No matter the racer's vehicle, that has each possessing different stats depending on the character, I always felt in control. Drifting is handled wonderfully and actually seems to have beat Mario Kart to the punch in how building up a boost is handled. Rather than wiggling the analog stick back and forth during a drift to build a boost, you simply hold your drift as long as possible. The longer you hold the drift, the better the ending boost you get from it will be. Drift longer to get a bigger boost when you let go of the shoulder button. 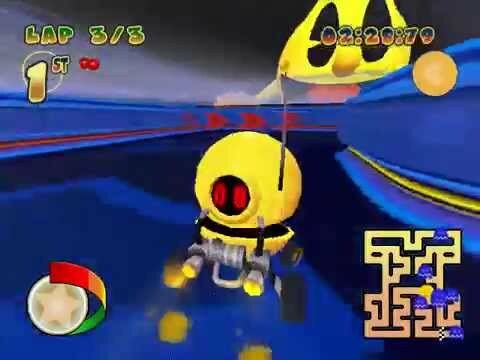 Items in Pac-Man World Rally don't deviate too far from what is expected from kart racers of this style. Really, every item in the game has a Mario Kart equivalent, whether it's green bombs that run along the track, bouncing off walls until they hit a target; red bombs that home in on whoever is ahead of the player; red item boxes that are hazards; and so forth. Though there are some more interesting items like snowmen that freeze enemies upon contact and unlockable items won through gobbling up a particular number of racers in a given cup. This is your home turf, Spooky. You better get your rear in gear, buddy! How does one gobble up opponents, though? Well, an intriguing and totally Pac-Man take on the kart racer is implemented in World Rally. 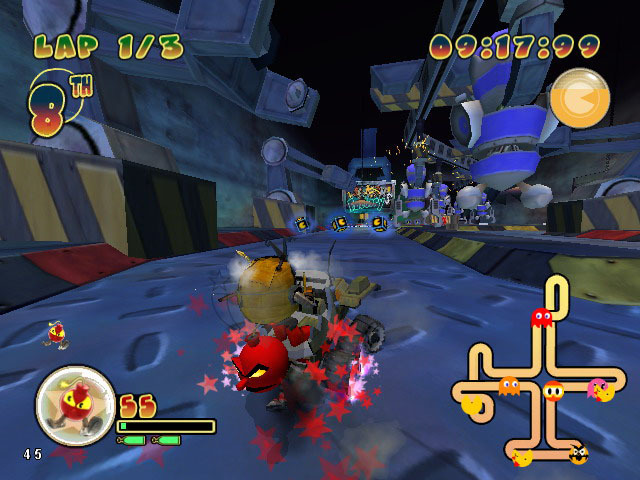 Along the various tracks of the game, there are power pellets that players can collect. Collecting these fills up a circular meter. 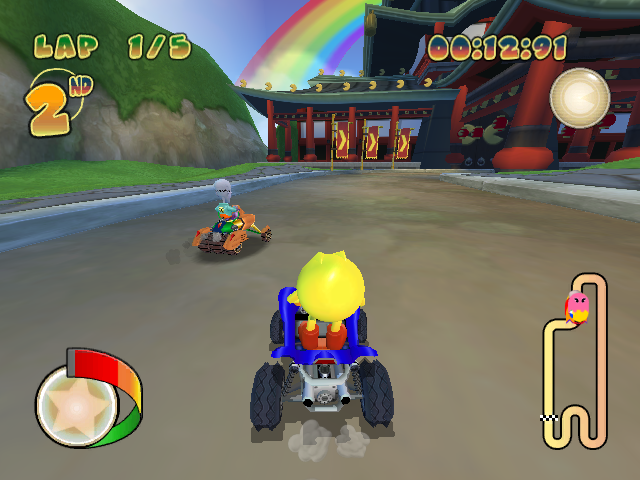 Once it is totally full, the player can hit a button and turn into a Pac-Mobile. In this limited timed form, every other racer is turned into a helpless ghost, able to be gobbled up by the Pac-Mobile player. It makes for an innovative Pac-Man-like contribution to an otherwise bog standard kart racer. The Pac-Mobile isn't a turkey, but it will still gobble, gobble, gobble. Though that's not totally fair, as Pac-Man World Rally does take its influence from the Pac-Man series to its tracks as well. Shortcuts are mostly found through collecting fruit. If you have a certain fruit in your collection, you're able to enter into an area blocked by that fruit's gate, giving you an edge over the competition. Early tracks in World Rally sport one shortcut that uses this tactic, but later ones have multiple shortcuts blocked by gates that need you to collect a specific fruit to use them. Pac-Man World Rally has four cups of four races each, save for the final cup which is a cup that features every race in the game in one lap form. Races have a varied number of laps between them with shorter races having more laps than the longer lapped ones. Questionably, World Rally's PSP version is the one that sports the full roster of 16 tracks while the other versions of the game just have 15. Since the multiplayer is limited in the PSP version, it makes all of the versions of World Rally gimped in some way. Regardless, races take place in a variety of areas and locales, from an oriental garden in the sky and casual cruise down canyon hills to a spooky haunted mansion and robotic factory. Unlock Katamari Damacy's Prince among other Namco characters through normal play. Thankfully, World Rally doesn't suffer that much from rubber-band AI, a problem that many kart racers use, including Mario Kart, to make the game more challenging. At the same time, that makes Pac-Man World Rally an incredibly easy game when competing against the AI. Easy and Normal difficulties have it where you can effortlessly win a race by more than thirty seconds, whereas even the hardest difficulties don't make you break much of a sweat, though they do offer more challenge. If you're looking for a kart racer to make your adrenaline run and heart race, then Pac-Man World Rally probably isn't for you. Pac-Man World Rally isn't a bad game, but it's not particularly a great one either. The track design is serviceable while the controls are mighty responsive and work well. There's just not too much that distinguishes the game from other kart racers of its type, and what it does try to do to separate itself isn't that notable or particularly cool. Still, World Rally can be found for a cheap price, so it's worth a look if you're searching for a new kart racer that won't offend but won't overly excite either. Earlier this year, Sony officially shuttered Guerrilla Cambridge, which particularly hurt us at SuperPhillip Central since they made what we consider the best handheld FPS ever made with Killzone: Mercenary. Before that, however, the team, under the name of SCE Cambridge Studio, worked on an early PlayStation franchise known as MediEvil. Since the news of Cambridge closing, SuperPhillip Central wanted to look back at one of the studio's earlier works. What we ended up agreeing on was checking out MediEvil: Resurrection, an early PSP release. Here's our retro review of that game! Make no bones about it, there's some wicked fun to be found here. 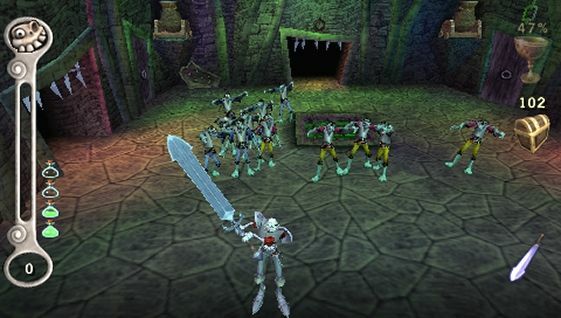 MediEvil originally released on the very first PlayStation, and it soon saw cult classic status among owners of Sony's big break into the home console market. It seems only fitting that the same game that was part of Sony's establishment as a first-party for their first home console would be a part of Sony's first-party offerings for their first handheld system, the PlayStation Portable. While many years have passed since MediEvil was first released, MediEvil: Resurrection shows that what was wonderful on the PS1 isn't as great now. That notwithstanding, something that remains just as great now as it did then is the brilliant dry English humor that MediEvil; Resurrection exudes. The dialogue is a positive delight to listen to, though for some it might enjoy its own presence and prattle on a little too long at some points, occasionally outwearing its welcome. The characters each possess different quirks to them, all voiced excellently. There were no pulled punches on the script. The script and story itself begins with an evil sorcerer named Zarok, who was assumed to be defeated, rising up and using his sinister mystic arts to arise ghosts, ghouls, and zombies from the kingdom of Gallowmere's local graveyard. In the process, he resurrects Sir Daniel Fortesque, who is well known as the hero who put a stop to Zarok's plans in the past in a mighty war. In actuality, Sir Daniel was a coward who was taken out early in battle by a stray arrow to the eye. Newly awakened and mocked by both a genie living in his empty eye socket as well as various gargoyles who all know the truth, Sir Daniel sees Zarok's revival as a way to prove to himself and all his doubters that he can be a true hero, deserving of the townspeople's respect. Zombies and a cemetery go together like peanut butter and jelly... though not as delicious (like, at all). 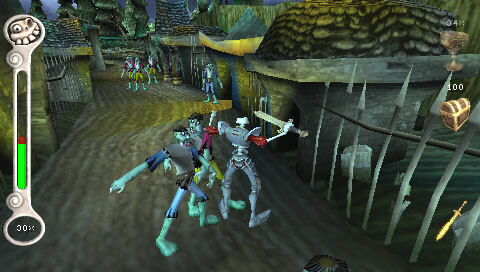 MediEvil: Resurrection stands as an action-adventure game. Levels are quite pleasant to look at with their visual design and artistry, something that should be very much commended, but on a level design basis, there is a lot of linearity to be found. Well, that's not totally true. 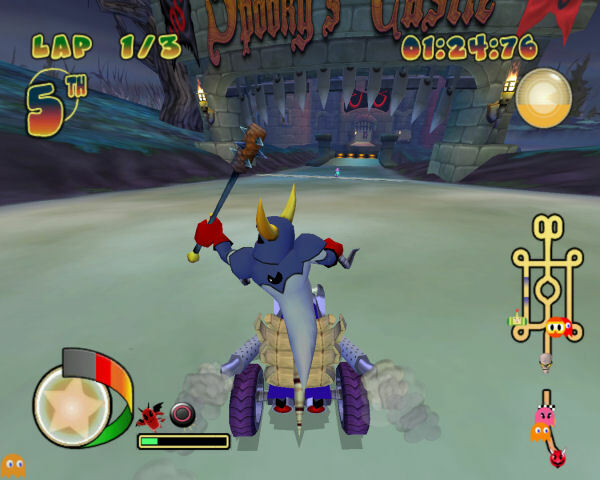 To be fairer to MediEvil, most levels have some degree of secrets to be found, but at the same time you're pretty much doing the same thing in each level: beating up enemies, solving simple environmental puzzles, hitting switches to unlock doors, and getting runes which are essentially the fantasy genre form of keycards to open specific gates. While levels aren't massive endeavors that take an hour to complete, they do take 10-30 minutes to complete. Unfortunately, there are no checkpoints to be found in them, meaning that if your health meter runs out and you have exhausted your supply of health potions or vials that serve as spare health, then you must restart the level. Thankfully, you can save your progress mid-level, so if you do die, you can just load your game from that point. That said, you're stuck at whatever health amount you were at, so sometimes it's just better to start fresh with full health. 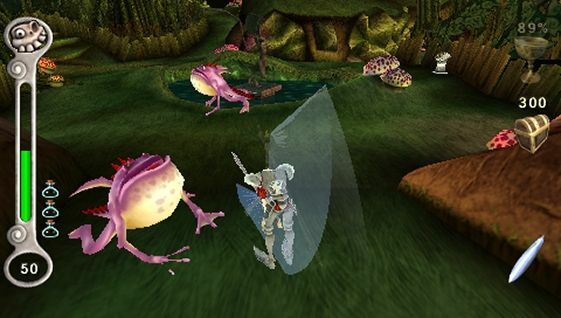 However, MediEvil: Resurrection most feels dated through its combat. Sir Daniel is no master of offense and as a character is quite the clumsy one, but the developers didn't exactly have to make him play clumsily as well. A surefire tactic when facing one enemy is to observe them, attack when an opening is there, retreat, attack, retreat, repeat. Unfortunately, you're seldom ever facing off against just one enemy. It's usually a group of ghouls or whatnot you're taking on. Sir Daniel's swipes, whether it's a sword or a club, swing rather wildly without much precision. This makes attacking with any sort of continued accuracy a pipe dream. It also results in many cheap hits to Sir Daniel. As health is very valuable in MediEvil, due to the rarity of health items found in levels and the cost of health vials from the gargoyle shopkeep who appears occasionally throughout the game, this becomes a problem rather quickly. With better combat, Sir Dan could make these frogs croak much more easily. In one level based in an asylum, it's basically room after room of hordes of enemies. Simply staying put and mashing on the attack button isn't a smart stance of survival as enemies will attack from all sides. Plus, Sir Daniel can't swing his weapon repeatedly with any consistent speed. So then, you try to run away from enemies, but as soon as you turn around, they're on top of you. Thus, the main means I used to take out foes for this and every other encounter I was faced with, I held down the Square button to unleash an attack that spins Sir Daniel's torso around, slicing all enemies around him. This proved to be a better solution that worked rather well, making the overall game an easier experience. Ah, the enemy mob, a scorn to every MediEvil player! Then, there's the camera, which is set a bit away from Sir Daniel, making it a tad difficult to see how far he is in relation to other enemies. You can reset the camera behind Sir Daniel with a tap of the R button, but this is a small Band-Aid to a foot-long gash. It's hardly a remedy. The camera gets quite spastic in indoor sections, especially cramped ones. Despite these issues, I still felt lots of enjoyment playing through MediEvil: Resurrection's campaign. Perhaps a lot of that was the aforementioned humorous story and dialogue, but a lot of it was also slowly building up an arsenal of more powerful weaponry to take on enemies and bosses with. You see, a totally optional task in each main level has you filling an icon of a chalice, seen at the top right corner of the screen. As you defeat enemies, the chalice fills more and more. 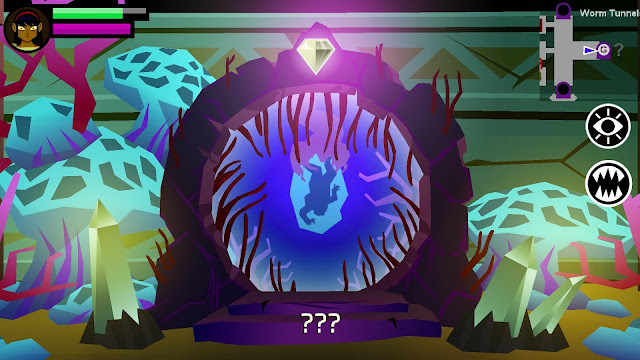 Once it reaches 100% and you have found the actual chalice to hold that energy in, usually hidden rather well in the level, you can beat the level and enter the Hall of Heroes. Here, one of the actual heroes of the war that saw Zarok's defeat, will give unto Sir Daniel one of their weapons, be it a crossbow, hammer, sword, or something else. Unlike most other weapons in MediEvil: Resurrection, these weapons don't degrade after use, so you can use them as much as you want. They are also much stronger than regular weapons, resulting in faster encounters with enemies. 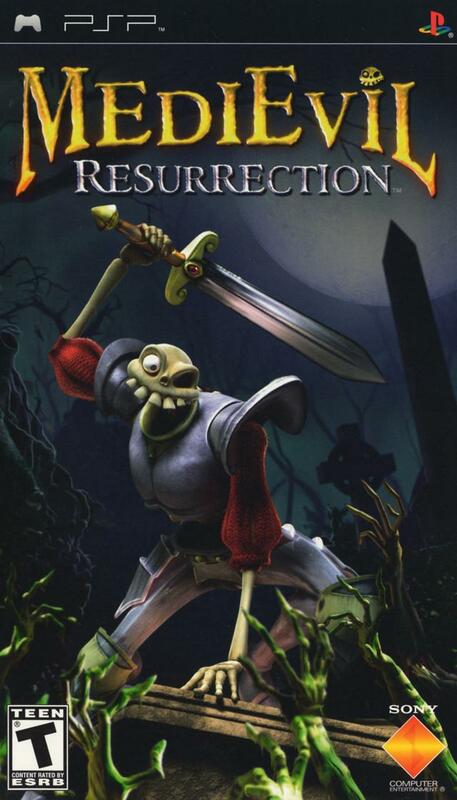 New to Resurrection that the original MediEvil didn't have is a full-fledged level for the Pumpkin Gorge as well as some fun mini-games to pass the time. These include activities like a Whack-A-Mole inspired game, two different shooting gallery games, as well as more combat-oriented ones where Sir Daniel is tasked with protecting the ringing of a central bell from a mob of enemies spawning from all directions. These games can be played via wireless connection with a local friend. The games are worth playing solo as well, however, because the strongest weapon in the game is only unlocked by completing them all. 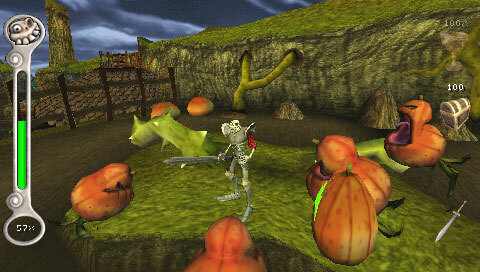 Pumpkin Gorge is a full level in Resurrection while it was just a brief spot in the original MediEvil. MediEvil: Resurrection is a marked improvement graphically over the original MediEvil, offering more complicated textures and environments. The frame-rate can chug to low numbers on occasion, but it's overall not too much of a bother. Load times are about 10-15 seconds between entering and exiting levels, but you at least get a witty British narrator saying something funny about the level you're about to enter, such as "Dan's Crypt; A good place to go to find a dead Dan..." or something to that effect. The music is absolutely riveting, delivering a whimsical Danny Elfman-inspired score. Just as hum-able too! In many ways, MediEvil: Resurrection is an antique from a long gone generation of early 3D games with its clunky combat and camera. In others, it's still an enjoyable adventure filled with delightfully dry humor, charming characters, and levels that while linear offer plenty of clever ideas. It's a game I thoroughly liked despite all of its obvious problems. I certainly did have some bones to pick with MediEvil: Resurrection, but I'd be lying if I said I wasn't dying to have some more from the game after I completed it. With The Legend of Zelda: Breath of the Wild, the latest in the long-running and historic Legend of Zelda series coming out in almost a month's time, it seemed like an opportunity to look back at one of Link's most legendary adventures. It was legendary on the Nintendo 64, and now it's even better on the Nintendo 3DS. It's The Legend of Zelda: Ocarina of Time 3D, and it's SuperPhillip Central's first review of 2017. The original Legend of Zelda: Ocarina of Time for the Nintendo 64 is commonly seen on many gamers and critics' lists of top games of all time. That's for good reason, as it successfully brought the Zelda formula and gameplay into a 3D space while offering some seriously clever dungeons, a heartfelt and endearing story, and plenty of secrets within the world. However, while Ocarina of Time's original release was indeed fantastic, it was far from perfect. 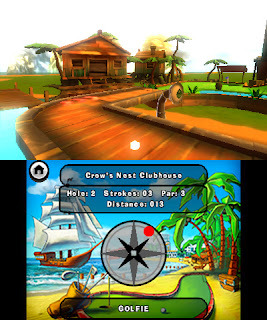 One of the earliest releases for the Nintendo 3DS was a remake of the game, fixing a lot of the issues that plagued the original N64 release. 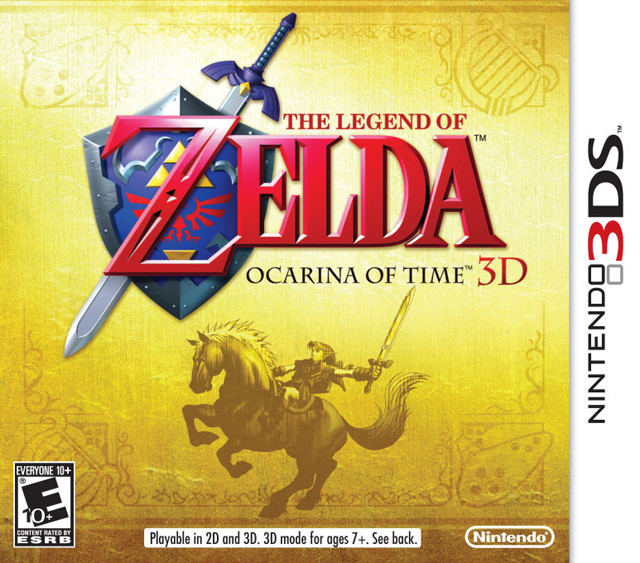 It's The Legend of Zelda: Ocarina of Time 3D for the Nintendo 3DS. For those uninitiated, The Legend of Zelda: Ocarina of Time features a story that tells the tale of a young child living in the Kokiri Forest who is the only child living there without his own fairy. One day, the Great Deku Tree, the mighty spirit of the Kokiri Forest, feels an evil presence in the world and assigns Navi, a helpful fairy, to join up with the young child, who he sees as the one to save Hyrule from this evil. This young child is none other than Link, and Ocarina of Time sees him leaving Kokiri Forest for the expanses of Hyrule, reaching far and wide in the kingdom, meeting with Princess Zelda, and going on a journey between time periods in his quest to save the kingdom from the wretched Ganondorf. And so begins one of Link's most memorable adventures! Everything you loved about the original Ocarina of Time is present in this Nintendo 3DS remake. The world is still full of secrets to uncover, the story is as memorable as ever, the characters remain intriguing, and the dungeons continue to possess dangerous enemies, keys to unlock doors, special items, brain-bending puzzles that are satisfying to solve, and big bosses that protect the game's MacGuffins. L-Targeting replaces Z-Targeting from the original Ocarina of Time, but both have the same use, to target specific enemies to keep them in Link's focus to move around them in a circle if needed, to avoid attacks, and to deal damage from Link's blade when their defenses are down. L-Targeting is used to center Link's focus on one enemy at a time. Then, there are all the memorable moments in the game's story. You have Link winning the horse Epona from the crooked Impa, escaping from Lon Lon Ranch by leaping over the wall. You have Link's first encounter with the mysterious Sheik. You have Young Link leaving Kokiri Forest for the first time to the sadness of his childhood friend Saria who gives him her ocarina as a means to remember her by. There are so many moments that are still touching decades later for veteran fans of Ocarina of Time and for a whole new generation of first-time players. However, Ocarina of Time 3D isn't just the Nintendo 64 original moved to the Nintendo 3DS. There are multiple improvements in Ocarina of Time 3D over the Nintendo 64 original, and the most obvious is that of the visuals. 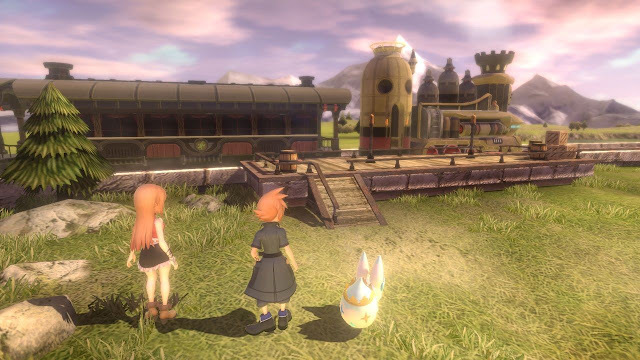 Not only are the characters and environments more detailed, but the frame-rate is vastly improved as well. There are still some slight moments where it dips a little, but overall, the frame-rate remains steady, quite unlike the original Nintendo 64 version. The addition of stereoscopic 3D offers a feeling of depth that makes it seem like you're looking at the Nintendo 3DS screen like you're looking into a window. It's a highly impressive effect that is only mired by some ghosting in darker areas of the game, where colors bleed over just a tad. Link learns an abundance of ocarina songs that have a myriad of powers. Then, there are the quality of life improvements that do a lot to make the game less of a chore to play. With the touch screen, you can assign four items to one of four spaces on the screen. X and Y can have specific items tied to them while the I and II sections of the bottom screen can be touched to pull out two other items. This makes it so you need not continually move to the pause screen to switch between items, making the process of changing between items much faster. One of the best changes involves a certain pair of notorious boots discovered in the Ice Cavern. These Iron Boots had the reputation in the Nintendo 64 original of having players being forced to pause the game and equip or remove them from a menu. For the Water Temple, this process was needed more times than players could count, immensely slowing down to pace of the game to a tedious crawl. In Ocarina of Time 3D, the Iron Boots are not a piece of gear. Instead, they're just another item, meaning you can use the touch screen to equip and remove them with ease and without the need to pausing and unpausing the game over and over again. Constantly equipping and removing the Iron Boots in the Water Temple is no longer a nightmare. In addition to those changes, a nice inclusion is the ability to use the Nintendo 3DS's gyroscope technology to aim weapons in first-person view. This includes things like the Slingshot, the Boomerang, the Bow and Arrow, and the Hookshot. You can still use the Circle Pad to aim, or even a combination of the Circle Pad and moving the 3DS to perfect your aiming, so it's a pleasant and ultra helpful addition to Ocarina of Time 3D. After the initial quest is completed, taking somewhere around 15-25 hours depending on how skilled you are and your familiarity with the original game, you unlock the Master Quest option. This quest not only presents a mirrored Hyrule to explore-- even having the dialogue of certain characters change to reflect this-- such as a character saying in the original quest that something is to the west, while in the Master Quest, they say it's somewhere to the east instead-- but Link takes more damage upon getting hit. Then, there is the most exciting part of the Master Quest, completely retooled dungeons filled with different puzzles. While the rooms and designs of the dungeons remain untouched, how you get through them and the order of rooms you move through to progress through the dungeons changes. Young Link overlooks the central area of Dodongo's Cavern, the second dungeon in his adventure. For instance, don't be surprised to get a dungeon's key item, such as the Water Temple's Longshot or the Fire Temple's Megaton Hammer earlier in the dungeon than you would have in the normal quest. Nor, should you be surprised to find yourself traveling through specific rooms earlier than you would have done so in the normal quest. Lord Jabu Jabu's Belly is the third dungeon of the game, and in the Master Quest, the dungeon is full of cows placed in peculiar locations, needing to be interacted with to open doors or unveil treasure chests. The Master Quest's redesigned dungeons add new twists of familiar puzzles and turn certain puzzle conventions completely upside down on their heads. While Adult Link stares at this ominous and foreboding statue in the Spirit Temple. The Legend of Zelda: Ocarina of Time 3D takes one of the best games ever created and makes it even better. Every improvement to the game like the upgraded visuals, touch-based inventory, ability to see how to play various ocarina tunes by looking at the bottom screen, gyro-based aiming, the Iron Boots no longer being stuck in the gear menu, and everything else makes for a better game than the already stellar Nintendo 64 original. 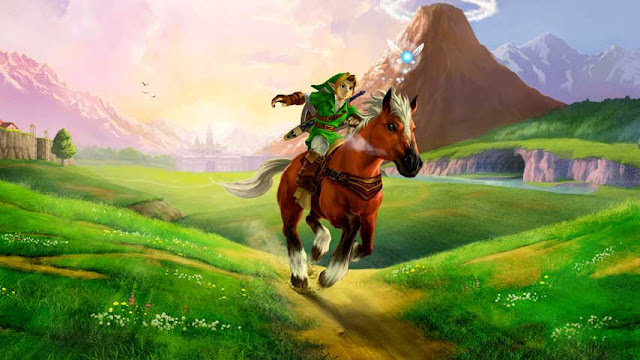 If you like action, love solving puzzles, enjoy getting lost in a fantastic world, and want to see an epic tale unfold, then The Legend of Zelda: Ocarina of Time 3D is everything you want and more. SuperPhillip Central can't quite get away from 2016, but we're trying! However, before we as a site do that, we want to talk about an oft overlooked part of gaming, especially when consoles take up so much attention of gamers these days. We're talking, of course, about handheld gaming. The Nintendo 3DS still has some life ahead of it, and the PlayStation Vita continues to get niche support. 2016 was a great year for both systems, and this list of the top ten handheld games of the past year shows this in a wonderful way. Retaining many of the features of the original Bravely Default, perhaps to a fault for some, Bravely Second: End Layer features the similar well done combat system of the original, as well as a masterfully crafted world. 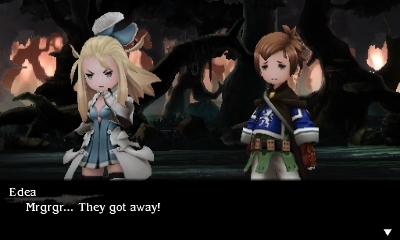 While the story doesn't do much to excite with shallow writing, where Bravely Second truly shines is within its gameplay and design, which both maintain a significant level of quality. Then, there is the total lack of needing to return to the same dungeons over and over again as seen in Bravely Default, a marked improvement over the original severalfold. Cut and slice enemies into oblivion. 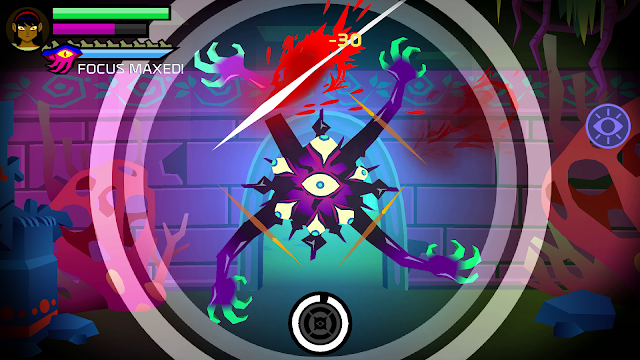 Severed was developed by the same team behind the stupendous Guacamelee, but while that game was lighthearted, Severed takes on a darker tone. The game tasks players with moving through dungeons in a first-person view, solving environmental puzzles as well as taking on an abundance of foes through strategic slices and slashes on the screen. Each enemy has a meter that fills up, and when fully filled, attacks. Attacking enemies can be stopped by properly slashing them in the correct direction. Severed is pretty simple when facing but one enemy at a time, but soon the game becomes quite challenging with having you contend with multiple enemies from all angles. Severed is a touching and heartfelt adventure full of innovative touch-based gameplay and a mysterious world to explore. 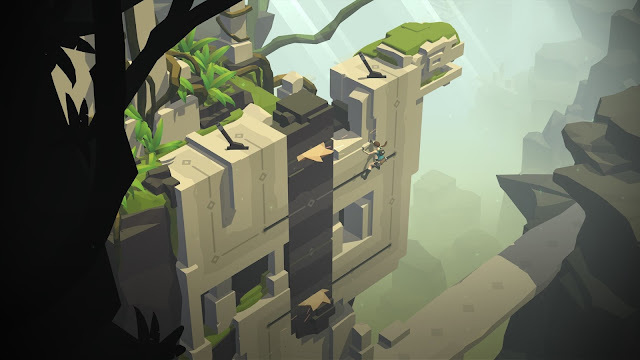 Originally released in 2015, Lara Croft GO launched for PlayStation platforms (PS4 and Vita) in November of last year. It is just as amazing a game on those platforms as on mobile. Go is turn-based, focusing more on puzzles than the fast-paced action the Tomb Raider series is known for. The goal is to move Lara Croft through environments while evading dangerous hazards and interacting with the environment to clear levels. Many facets of Tomb Raider's design are incorporated into the game, including moments where Lara runs away from boulders as well as challenges requiring a modicum of proficient timing to complete. 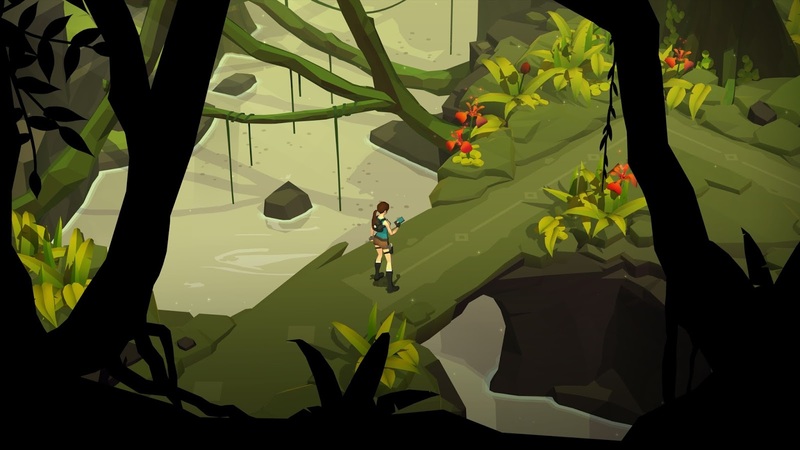 Being a touch-based puzzler, Lara Croft GO feels especially at home on the PlayStation Vita over the PlayStation 4, making it a game that was great in 2015 on mobile devices and also great on the Vita. 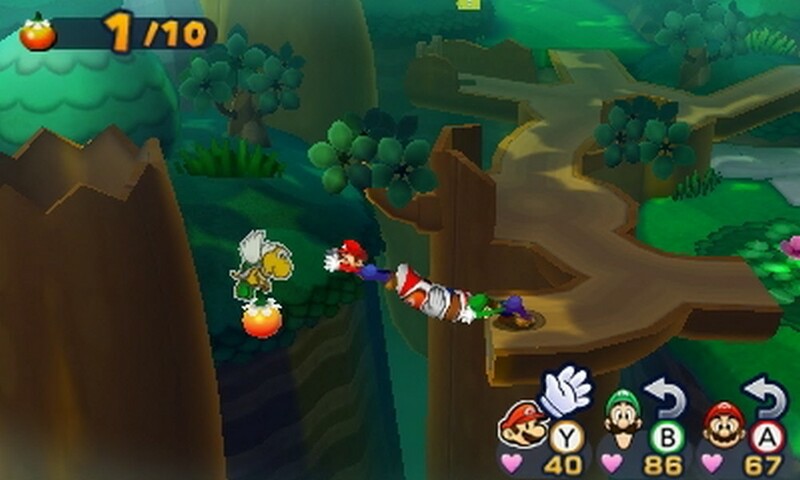 Despite a greater focus on established Mushroom Kingdom characters, Mario & Luigi: Paper Jam delivers a delightful adventure that perhaps strayed too closely to the well received formula of the Mario & Luigi series. However, when the formula is so well done, it's hard to argue that what's here in Paper Jam isn't anything but wonderful. This time Paper Mario enters into the world, as does a host of other paper-styled characters, creating a charming story that may be another "Bowser kidnaps the princess" tale, but is one that has multiple twists to keep players engaged. The combat is as wonderful as ever, offering timing-based attacks and defensive maneuvers to make every battle as engaging as the last. The level of challenge is also high enough to not make the game boring, and the greater lack of hand-holding or forced tutorials makes for a more enjoyable adventure overall. For those like the crew at SuperPhillip Central who couldn't get enough of the three-dimensional Picross puzzles of the Nintendo DS's Picross 3D, the gift that Nintendo bestowed upon Nintendo 3DS last year with Picross 3D: Round 2 was a delight in every sense of the word. Through the careful analysis of numbers placed on rows and columns of three-dimensional objects that tell how many blocks the player should remove, players carefully chip away at the correct blocks through deductive reasoning to ultimately end up with a final object like a car or a frog, for instance. Chipping away a wrong block penalizes the player. 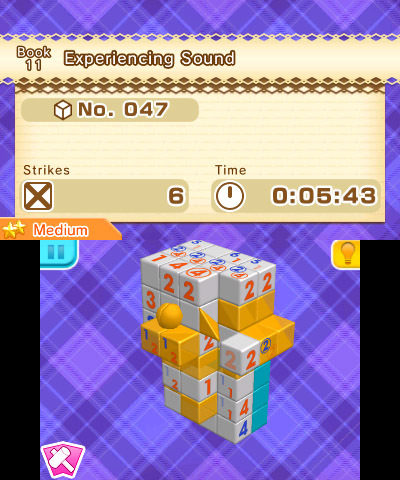 Curved blocks and dual numbers are new mechanics introduced in Round 2, offering even more Picross-styled goodness to players. What it all amounts to is a sizable amount of additional new puzzles to those that have exhausted all of the content of the original Picross 3D. Someone got Pokemon in our Final Fantasy. Then again, simplifying World of Final Fantasy through that statement isn't exactly truthful, as the game is more than just collecting and battling the various creatures found throughout the Final Fantasy series. 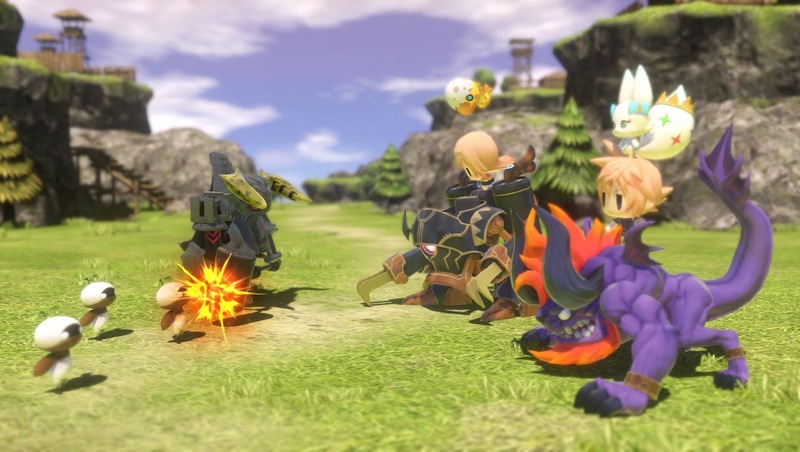 World of Final Fantasy features an elaborate story implementing familiar faces in the series, from all-star characters like Cloud Strife and Final Fantasy XIII's Lightning to creatures like Chocobos and Cactuars. 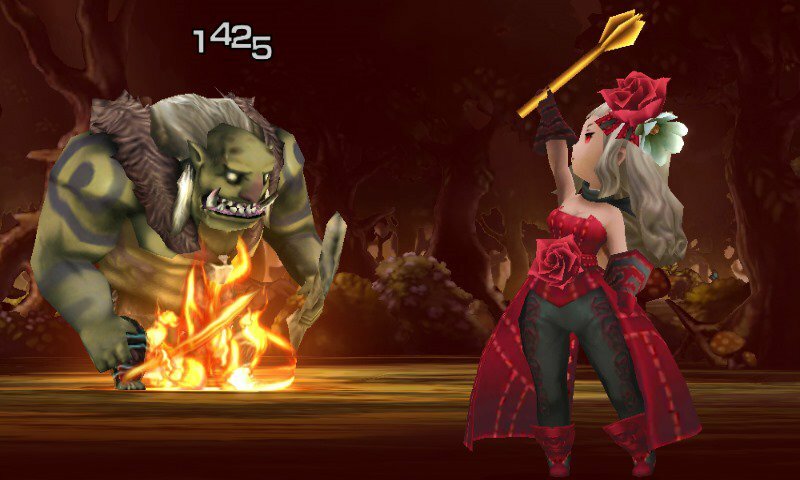 The ability to stack monsters on the protagonists' heads introduces strategy, as each monster in battle offers different stats and abilities to use in battle. World of Final Fantasy is a turn-based RPG that both die-hard fans of the Final Fantasy franchise can enjoy as well as those who just enjoy some great gameplay or collecting a cast of colorful creatures to engage in battle with. 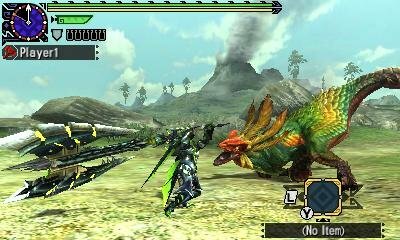 Offering a fresh take on the aging Monster Hunter formula, incorporating new mechanics like brand-new combat styles, special attacks, and the ability to play as series mascots Felynes, Monster Hunter Generations brings another round of strategic battles of endurance with enormous beasts. 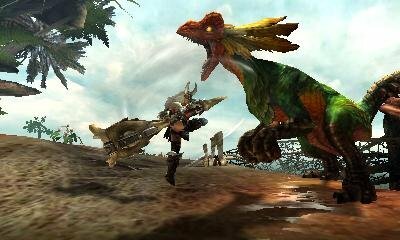 The same gameplay loop of battling creatures, gathering loot, and creating new items, weapons, and armor is present and accounted for in Monster Hunter Generations, but the aforementioned new combat styles and addition of special attacks shake up the formula enough to make for an entry that feels worthy to invest dozens upon dozens of hours into. Playing online with friends and strangers alike to fell a massive, magnificent beast is as engaging as ever, making Monster Hunter Generations a blast to play whether doing it alone or locally and online with other players. Kirby's last few games have been amazing platforming journeys, and once more developer HAL Laboratory has crafted a stellar entry in the long-running series with Kirby: Planet Robobot. 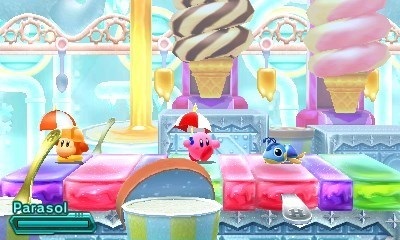 The gameplay is quite similar to that seen in Kirby: Triple Deluxe with levels that stretch from the foreground to the background, showing off the Nintendo 3DS's wonderful stereoscopic 3D to great effect, as well as the gathering of special collectibles to unlock new levels. 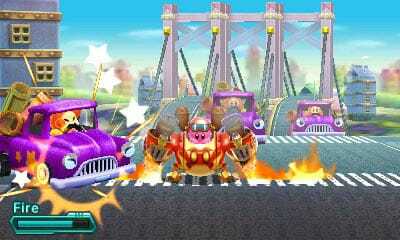 However, new to this installment of Kirby is the ability to commandeer special mechs that can allow Kirby to plow through enemies, even copying their abilities in mech form to transform the pink puffball into an even more powerful force to be reckoned with. The level and boss design is as stupendous as ever, giving players plenty of secret locations to find and challenges to face. It all adds up to a platforming adventure that once again is worthy of the Kirby name. 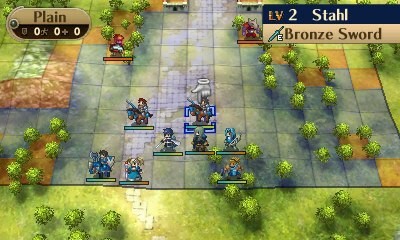 Taking a page from Pokemon, with Fire Emblem Fates, the developers split up the story between three games: Birthright, seen as a great game for beginners of the series and strategy RPG genre to embrace; Conquest, better for veterans wanting a challenge; and the downloadable-only Revelations, viewed as a middle ground between Birthright and Conquest. 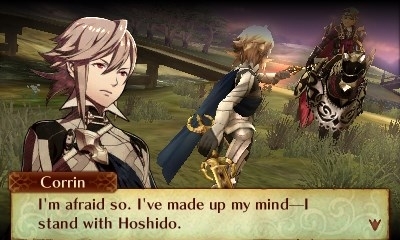 Unlike Pokemon, however, each version of Fire Emblem Fates offers enough gameplay and story differences to make them all worth playing. Even if you just dabble in one of the games, you'll find satisfying tactical action, giving players plenty of engaging gameplay systems, character development, and an impressive story to uncover. With Fates, it's as if the developers heard every criticism made of Fire Emblem: Awakening and made three games that fixed them to varying degrees of success (usually quite successful at that). With the massive success that was Pokemon GO, Pokemon as a franchise saw a tremendous resurgence with used copies of past games seeing notable markups by sellers and Pokemon Sun and Moon, the newest entries of the franchise, seeing immense sales between both versions. 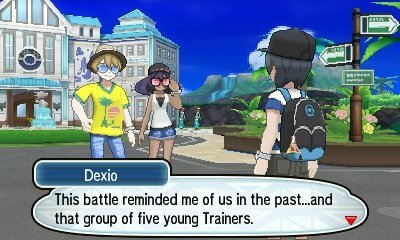 Pokemon Sun and Moon are also worth mentioning for changing things up considerably with the series, most notably with the structure of the game, eschewing the need to tackle eight gym leaders for their badges. 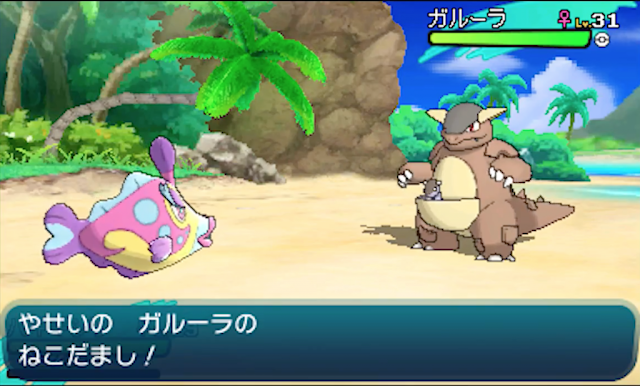 New additions to the formula include over 80 new Pokemon, including new Alolan forms of first-generation Pokemon, immensely powerful Z-Moves, Ultra Beasts, and more impressive visuals, including those in battle and on the various maps to explore. Overall, Pokemon Sun and Moon feel like a duo of games that don't just go through the motions and a list of boxes to check. Instead, they feel like marked steps forward in both innovation and freshness for the franchise. Fight like it's the '90s with Ultra Street Fighter II: The Final Challengers, a game currently a Nintendo Switch exclusive. It offers both HD sprites and old school sprites, 1-on-1 multiplayer, co-op fighting, and much more. Check out this reveal trailer for the game. After a week's vacation, SuperPhillip Central is back. This week begins with SuperPhillip Central's Favorite VGMs, and a special edition of this weekly segment at that. Leading off are three games with the Xeno prefix in them, Xenoblade Chronicles X, Xenogears, and Xenosaga Episode I. Though they share that aforementioned prefix, they couldn't be any more different of games if they tried. Moving on from those three games, we listen to a battle theme from Golden Sun before wrapping up with another boss theme, this time from Mega Man Star Force 2. Listen to each song by clicking on the VGM volume name which serves as a hyperlink. Then, when you're done, you can listen to past VGM volumes via the VGM Database. Now, let's get on to the music! 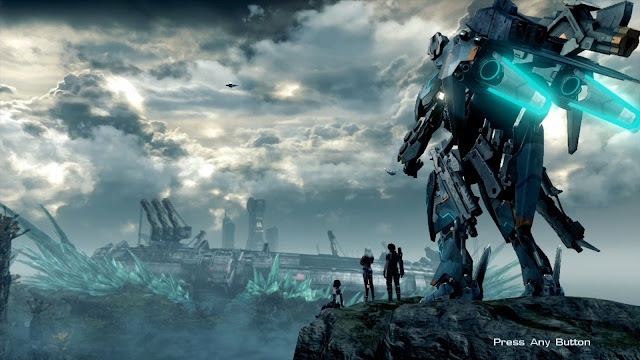 Fitting for the epic world of Xenoblade Chronicles X is an epic soundtrack! Players immediately get that sense with Codename Z, a bombastic tune featuring vocals, strings, brass, and more. Though some of the songs on the Xenoblade Chronicles X soundtrack do more to aggravate than delight, the majority of the tunes on the soundtrack are masterfully done. Xenogears was a solid game for the first of the two discs it was printed on. 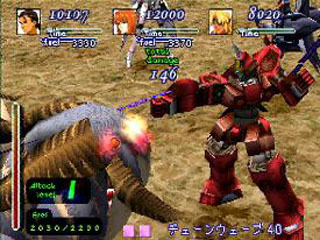 However, by the second disc, most players could tell that the game saw a rushed development by Xenogears's end. Myth is an official orchestrated and arranged soundtrack for Xenogears, featuring a selection of the most memorable tracks from the game. October Mermaid is a piano piece that is as tranquil as it is haunting in some parts. 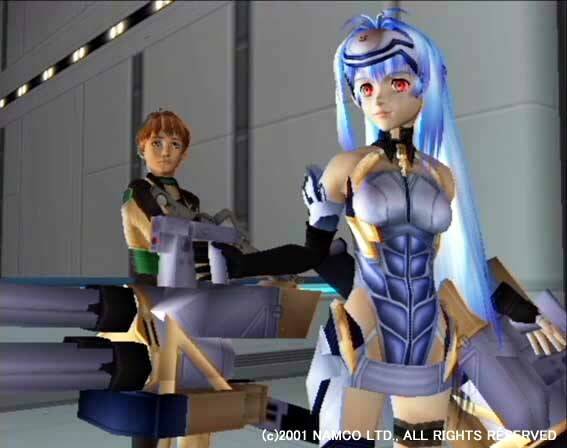 Yasunori Mitsuda returns, this time with music from Xenosaga Episode I, the first entry in the planned six-part series of Xenosaga games. Unfortunately, only three of the games were made, though all available on the PlayStation 2. The battle theme is quite good, though it sadly can become grating as it's played over and over again during the story, even during boss battles. Despite the poor quality of the Game Boy Advance's speakers and sound chip, some composers were able to produce excellent sounding music from the system. Motoi Sakuraba was one of those, especially with his work on both Golden Sun games. 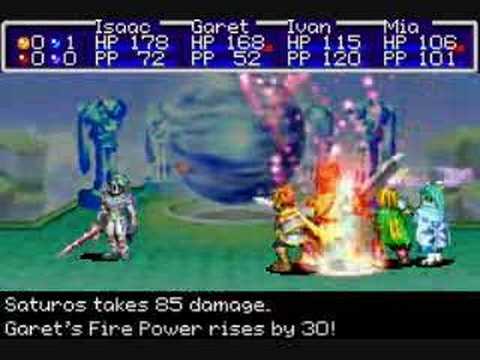 We're focusing on the first, my personal favorite of the three Golden Sun games, with a battle theme against one of the primary antagonists of the game, Saturos. We conclude this edition of SuperPhillip Central's Favorite VGMs with a boss battle theme from Mega Man Star Force 2. That sub-series of Mega Man games saw three entries released with multiple versions, similar to Pokemon games and later Mega Man Battle Network games. 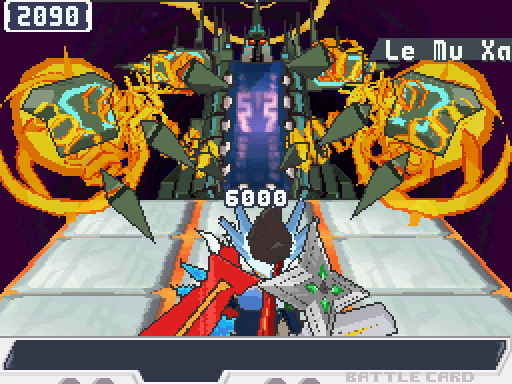 However, the Mega Man Star Force series was so similar to the latter that it was overlooked by many.